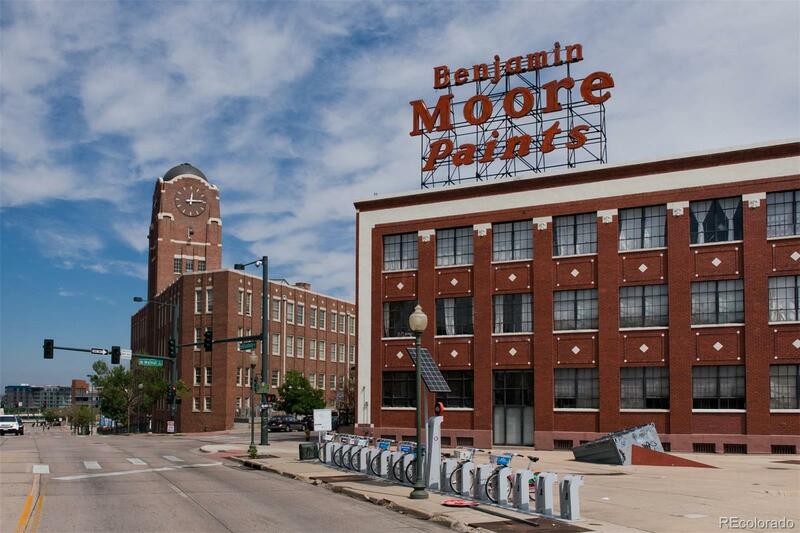 ICONIC DOWNTOWN LOFT LIVING - Located in the historic Benjamin Moore building, this home has everything buyers look for in a downtown loft. The home offers exposed brick, high ceilings, tons of natural light and an open floor plan. Custom updates have been added throughout this home including an antique barn door, additional hidden loft area with sliding ladder access and newly renovated bathroom. The spacious floor plan provides distinct living and dining spaces, an office area and lots of options for storage. Parking is assigned, secured and covered. There is also a storage locker for all your toys.